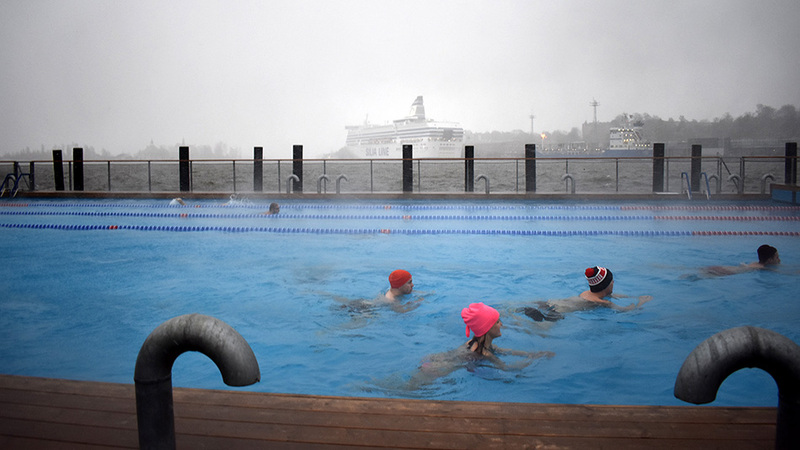 It was a cold morning when I made my way to the Allas Sea Pool in the heart of Helsinki harbour. Although this striking wooden structure had been completed the summer of 2017, I had only ever visited to sit on the upper decks with friends for a drink and to catch the last of the evening sun. On this morning I was going to experience all that the sea pool complex had to offer. As it turned out, quite a lot. 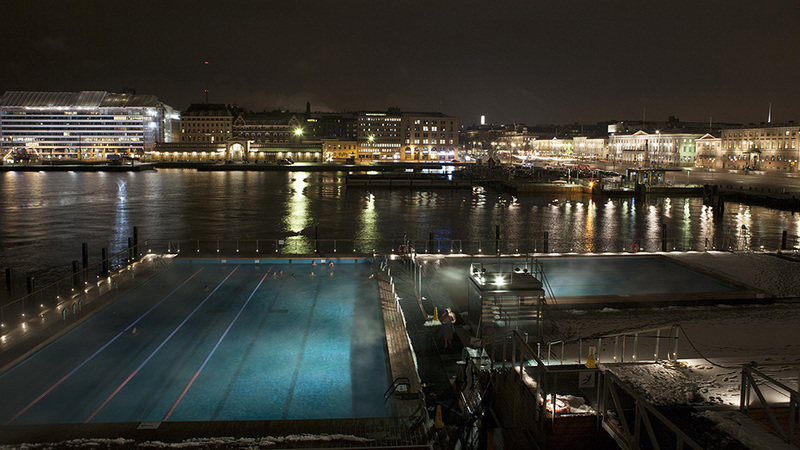 Allas Sea Pool is right next to Helsinki’s famous Market Square, on the Katajanokka peninsula near Uspenski Cathedral. This outdoor sea pool complex features three pools, several saunas, a restaurant and a café, and multiple stepped platforms and decks where locals and tourists alike meet and chill out. 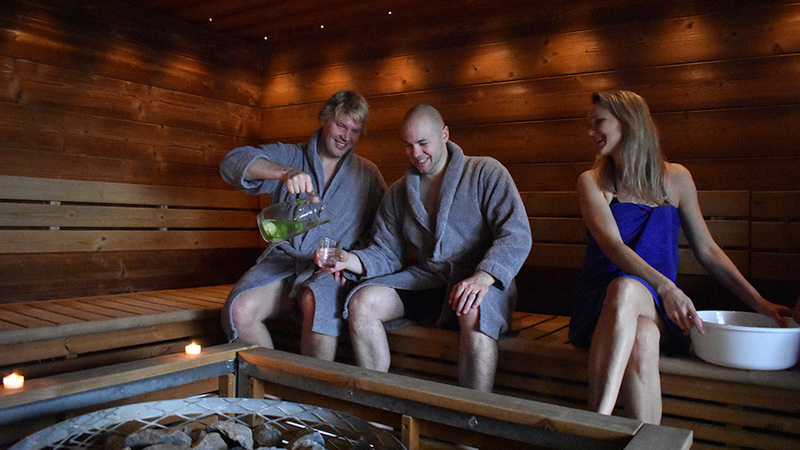 I was looking forward to trying out the pools, and even more to the guided sauna experiences: Winter Sauna, Sauna Yoga and Finnish Wild Herb Sauna. 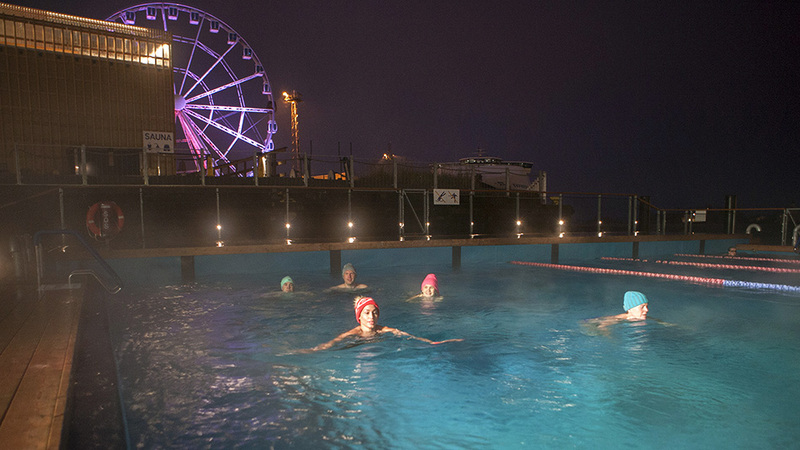 Allas Sea Pool is open all year round, providing unique experiences and activities. The swimming pools are quite noticeably located right in the Baltic Sea! The main pool is filled with fresh water heated to a balmy 28°C all year round, and is ideal for both exercise swimmers and the more leisurely swimmers. 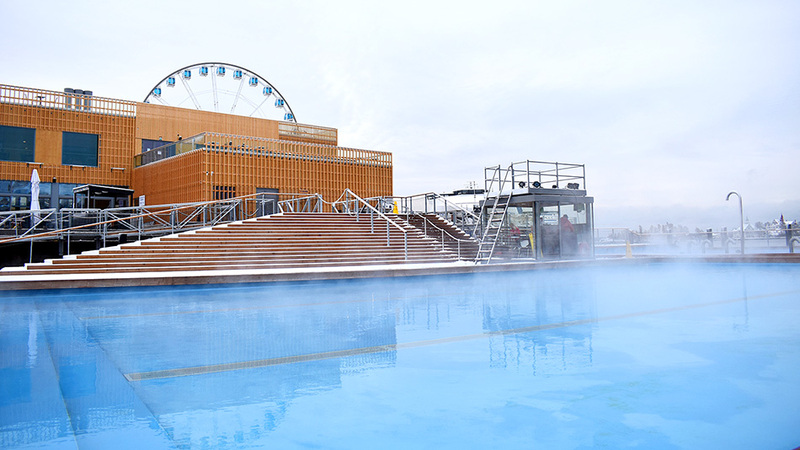 The sea water pool next to it is filled with water pumped from much further out in the Baltic Sea, then filtered and treated using UV technologies, and is kept at exactly the same temperature as the surrounding sea. 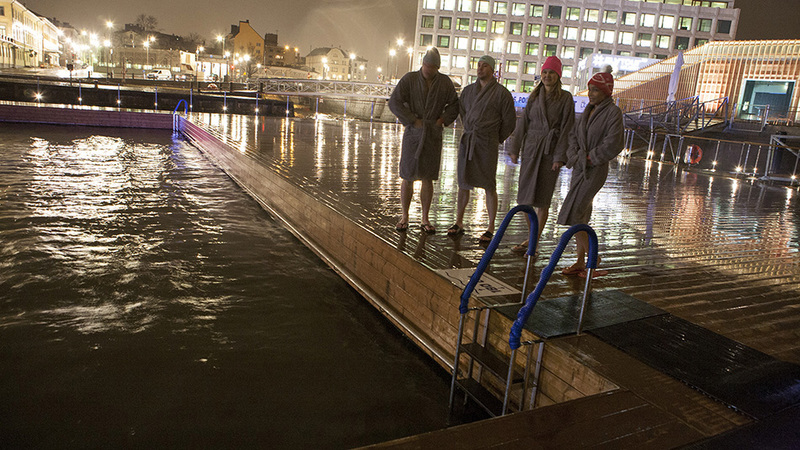 In winter you can have an authentic Finnish winter swimming experience – seriously, a lot of Finns swear by it. The third pool is the children’s pool, a shallow version of the main heated pool, open only for summer season. 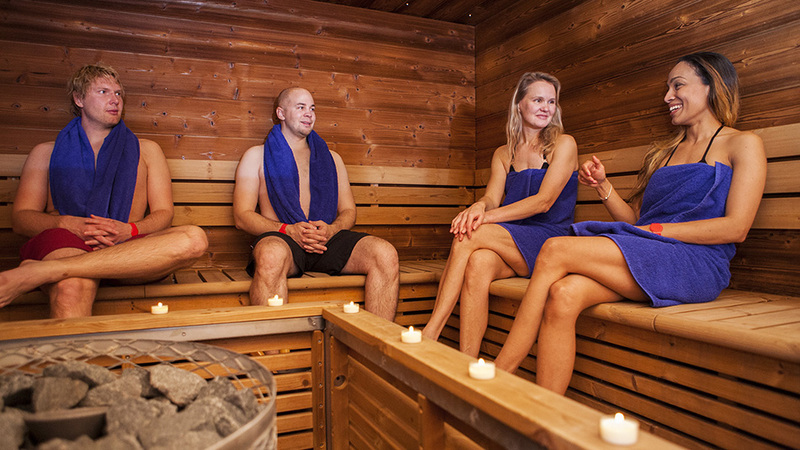 There are three saunas here; the women’s sauna, the men’s sauna, and a third reserved for public and private events, also used as a mixed gender sauna when there are no reservations. 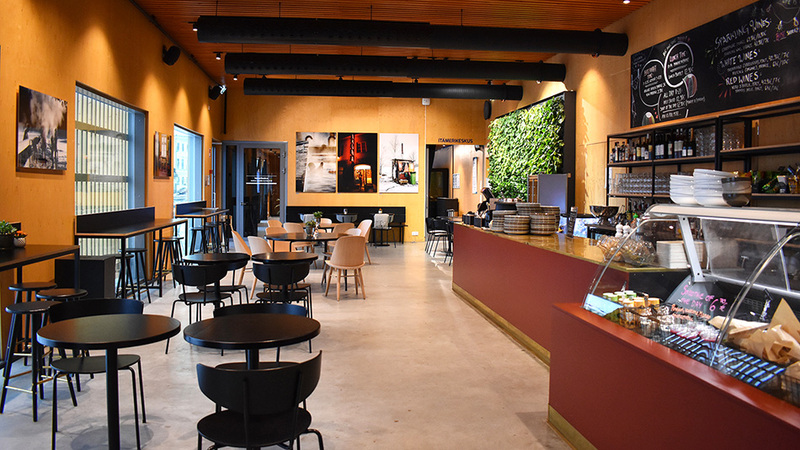 The Allas Sea Pool complex has a stylish and modern café, Allas Café which serves breakfast and lunch, and an a la carte restaurant, Neighbour Bistro, which opens in the evening. 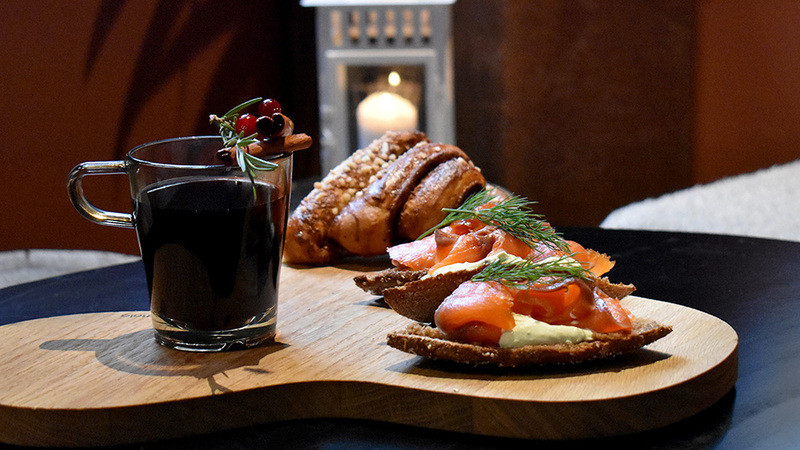 Both the Allas Café and Neighbour Bistro are also open to all, whether they are using the pools or saunas or not. It was still dark as I arrived and a light snow had begun to fall as I met up with others to test out the new sauna experiences. 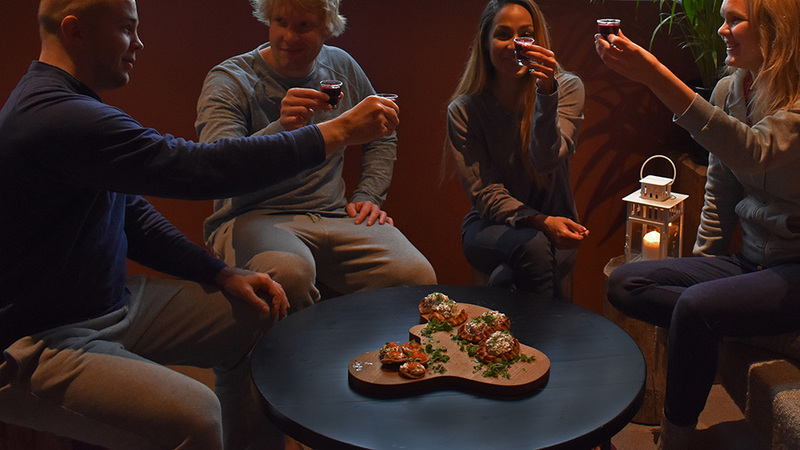 We were shown to our changing rooms, and then began the Allas Sea Pool “Winter Sauna Experience”, a guided immersion into Finnish sauna culture and an introduction to traditional sauna etiquette. 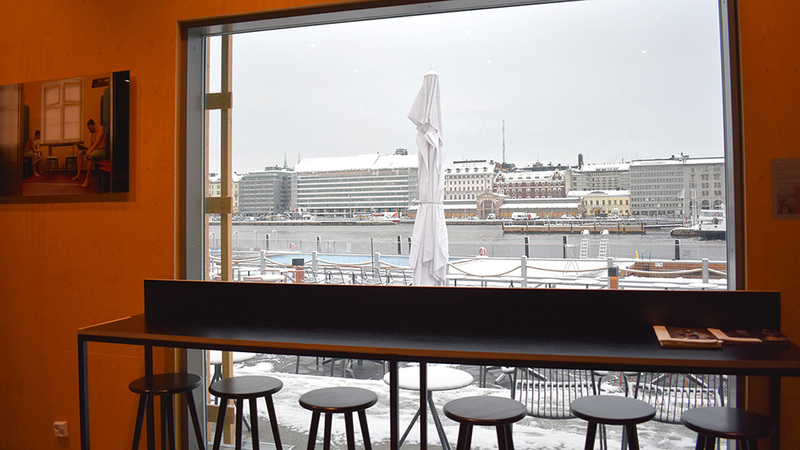 Sitting comfortably in the spacious sauna, I gazed out the window over Helsinki harbour and watched the Suomenlinna ferry gliding in and out. Our instructor explained much to us, including how to throw “löyly” like a true Finn. The three Finns with me listened politely, nodding at key points, alarmingly so when the guide explained the health benefits of leaving the sauna to take a dip in an ice-hole! 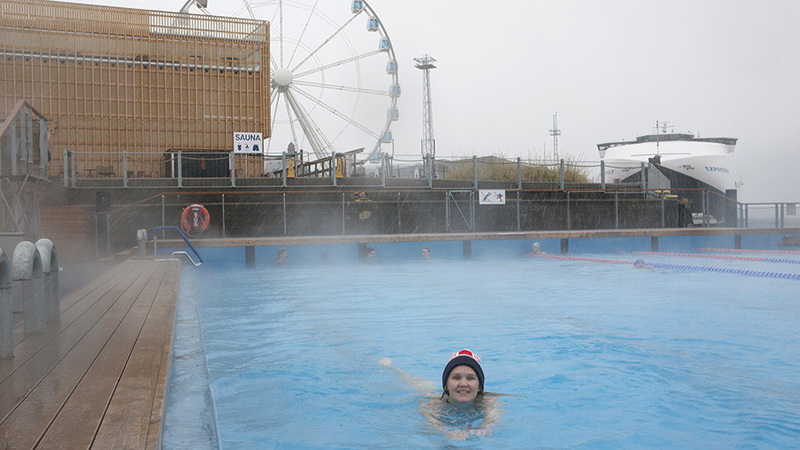 Fortunately there wasn’t any ice, but I remembered the sea pool I’d passed on my way in, and that it was snowing. After we had absorbed the health benefits of the hot and cold temperatures we had the opportunity to dip into the chilly seawater pool. It was still snowing when we strolled down to the sea-pool, where we climbed in, some with more trepidation than others. My skin still hot from the sauna, the cold water was instantly soothing, setting off a chain of tingling all over. It was the first time I’d ever done the icy dip, and I was amazed to discover that I liked the sensation, that I felt instantly alive, and I’m sure the experience will live long in my memory. That said, I was still first out and back into the sauna! The others returned shortly after, with the lads taking one more cold dip before we showered off and gathered around a table to chat and enjoy some Finnish treats – smoked salmon and cream cheese with herbs on rye bread, a warm berry juice, and korvapuusti (traditional Finnish cinnamon buns). Next up was the Sauna Yoga Experience, which sounded intriguing to me, as I’d only tried yoga once before. Our instructor guided us through a variety of poses from different yoga styles, seated on the sauna bench in a +50°C degree sauna. Some poses worked to relieve neck and shoulder tensions, others to remove strain on the spine and back, and others worked to strengthen muscles in the legs and torso. All of the stretches and positions were easy to manage, perfect for beginners like myself, and the whole experience was very relaxing. 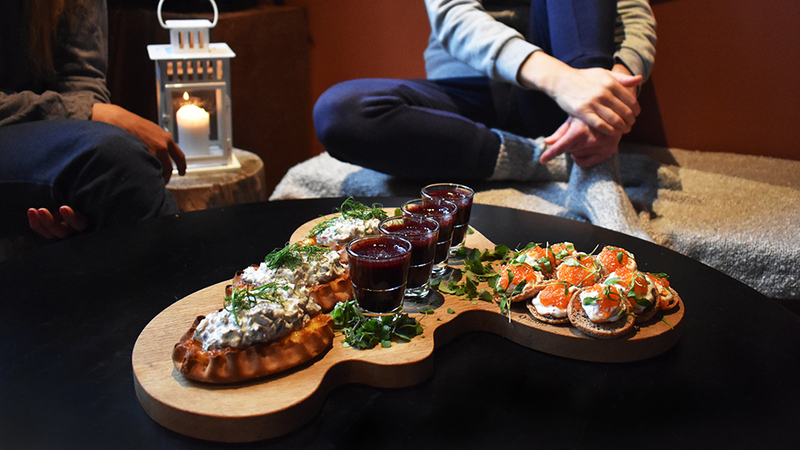 When the session ended, we retired once again to sample another round of Finnish treats, this time it was a creamy rainbow trout pâté on rye chips, a Karelian pie with mushroom salad and a blueberry shot. 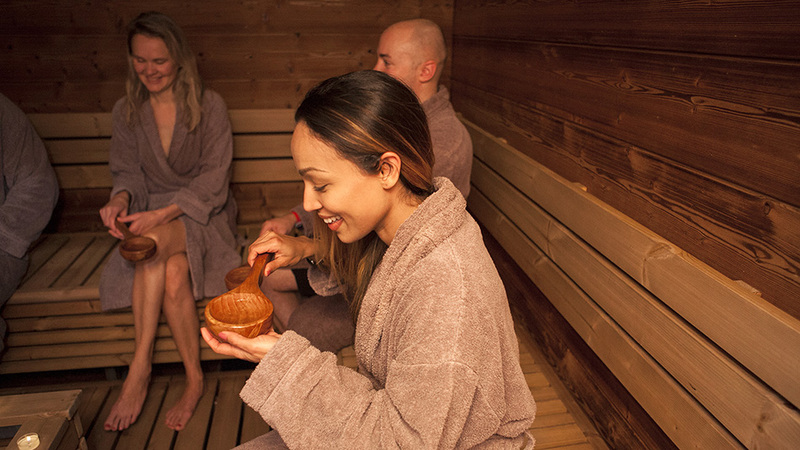 The third and final part of the day was the Finnish Wild Herb Sauna Experience, which began with our instructor discussing the role of herbs in preventing illness and improving health in Finland for millennia. As we sipped a refreshing herbal drink we learned of the health benefits of the many local herbs, and which ones were used in natural beauty treatments. 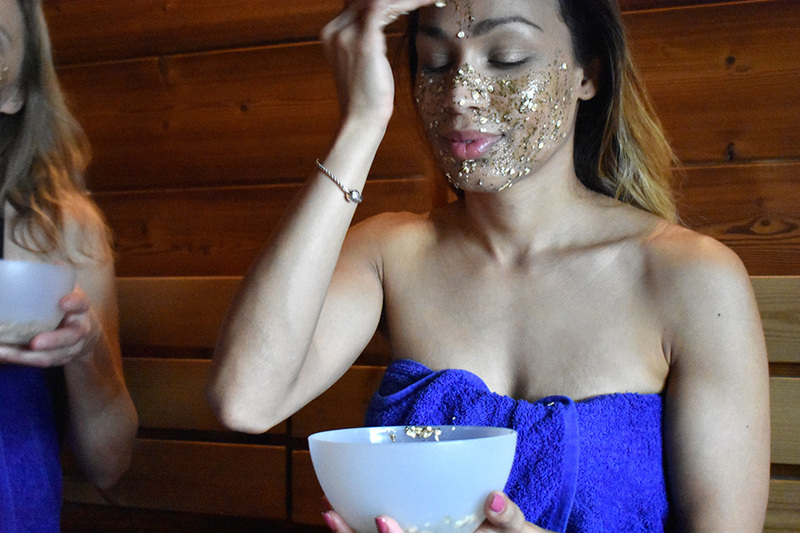 Then we were shown how to prepare a facial mask and a footbath, we applied our masks (mine was a mix with honey and herbs), soaked our feet, and sat back to let the heat and herbs work their magic. Of the three sessions, this was definitely the most relaxed, possibly because the masks discouraged both talking and fidgeting. After the Finnish Wild Herb Experience we were free to take another dip in the pools, and I didn’t think twice before dropping back into the heated pool for a quick swim. It was deliciously warm despite the freezing air, and we wore hats to keep our heads warm. We swam for a while before returning to the showers to change. Feeling positively glowing from the previous pampering, we once again gathered around our table in the lounge. 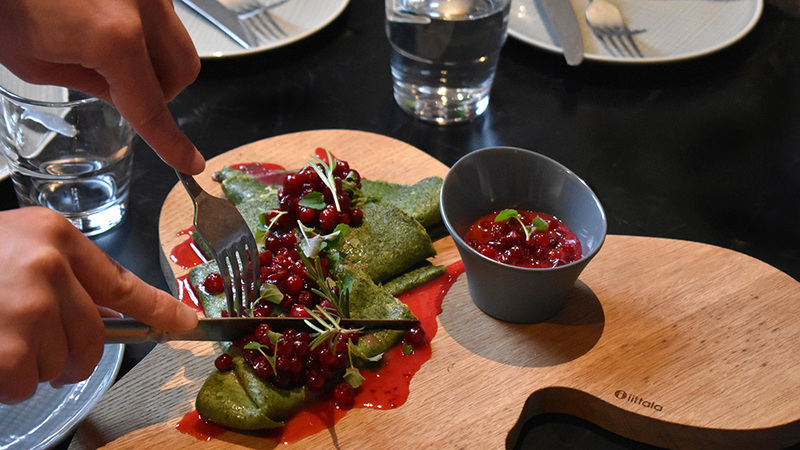 There was a final round of treats to be savoured, this time the snacks included delicious nettle pancakes with caramel cranberries and crisp cucumber water. Heading back from the pools. The light began to shine through the misty morning as we swam. We said our goodbyes and I began my journey home, feeling greatly refreshed and invigorated, knowing that I would be recommending this great experience to all my friends. For those with little or no experience of sauna, or yoga, I can’t think of a better introduction to these ancient practices. 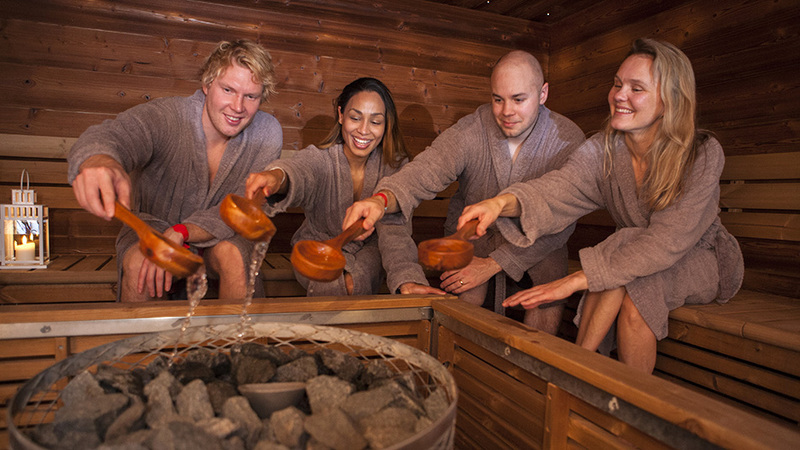 All three Sauna Experiences last 2 hours, with 40 minutes allocated to the guided experience and the remaining time is free to spend swimming, in the sauna, and eating. You also get a bracelet that allows you to use the saunas and pools for 10 hours. 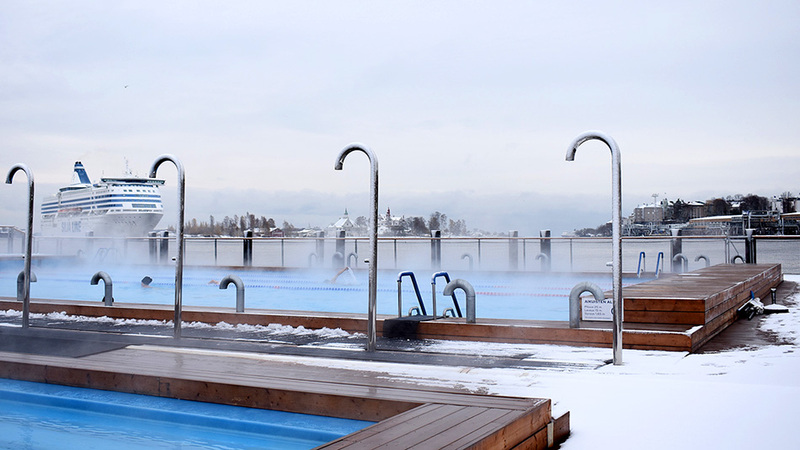 I was delighted that I’d tried the icy dip, I would never have expected that immersion into freezing water immediately after a steamy sauna would feel so good! I’d also learned much from our instructor, it was nice to be getting healthier while simply sitting and sweating. All in all, the Allas Sea Pool is a fantastic addition to all the amenities in Helsinki, and it will become a true tourist attraction as its reputation spreads. Apart from the excellent sauna, swimming, and dining on offer in this distinctive building, it is one of the most striking meeting points in the city, and very centrally located. The views are wonderful, whether looking towards the Presidential Palace and Market Square or out to sea towards the islands of the inner archipelago. On warmer, sunnier days and evenings, the terraces and platforms are perfect for enjoying a drink in company as DJs play great music. If you’re new to Helsinki getting there is easy. 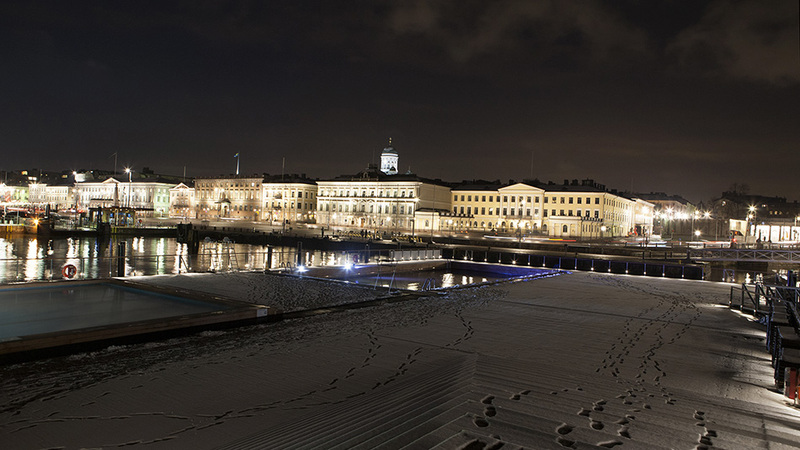 The Allas Sea Pool is located right next to Helsinki Market Square in the south harbour, with nearby tram stops for the 1, 2, 4, 5, and 7 trams. Discount: students, conscripts, pensioners, the unemployed 8€.